At Designed to Sparkle all of my jewellery is individually handmade to order just for you, meaning that if there any changes that you would like made to the design or colours before I make your jewellery, then I am more than happy to make these changes for you. Often this process comes at no extra charge where the idea starts from a design I have already created. Any of my pieces made using Swarovski crystals or pearls can be altered to use any colour from the main Swarovski colour range at no extra cost. This is one of the fundamental principles of my design process; to provide a wide choice of colour and a core set of jewellery designs for you to create your perfect piece. 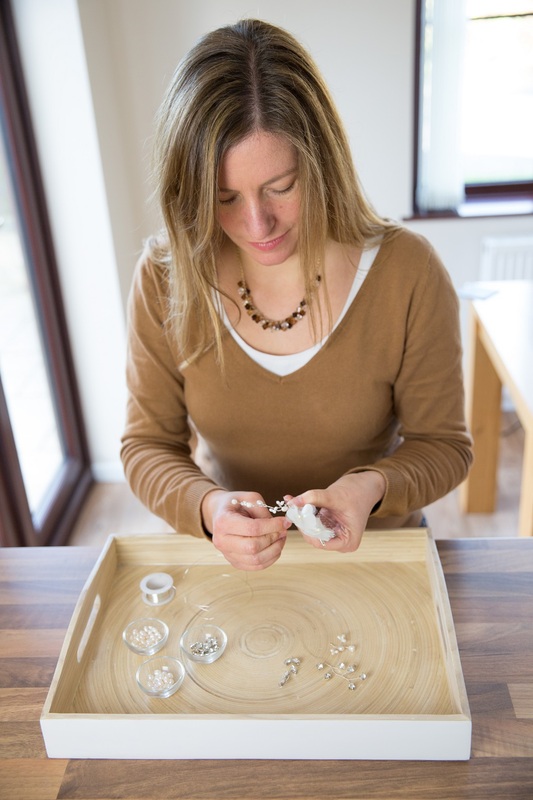 For a truly bespoke and tailor made piece of jewellery, I will work closely with you from your initial thoughts through to a final piece that you are truly happy with. The cost of bespoke pieces will depend on the materials chosen to make the piece and the time that it takes to make. I do not charge a design fee to help keep these costs manageable. Whether you would like to create bespoke wedding jewellery, tailor made wedding hair accessories, or to create your dream bespoke jewellery in your perfect colours, please do contact me to discuss more details of the process; I am always very happy to help!